The cat’s cradle of Congolese politics Governance Gaps and the Hydra’s Heads: Would a successful negotiation with the FARC reduce violence in Colombia? Understanding ‘War and Peace’ in Afghanistan Today: Will planned military withdrawal usher peace in Afghanistan? There is an emerging trend among international counter insurgency (COIN) experts to claim that Afghanistan was a ‘mission impossible’ in terms of national building endeavors. Others contend that after a planned US withdrawal in 2014 (which will likely trigger a quick EU/NATO exit) a devastating civil war will be the fate of Afghanistan, leading to another Taliban rise. These negative assumptions have created a dismal future scenario. Many analysts, writers and even policy experts are now more inclined to accept war and conflict as a new normal in Afghanistan. Even hopelessness has crept in. Consequently, policy makers in important capitals of the world are now thinking more in terms of ‘crisis management’ rather than ‘conflict resolution’. This approach is counterproductive and even self-defeating. A different and more positive end is still achievable in Afghanistan and for that western states must remain engaged–though in more creative ways than presently employed. Many leading and resourceful political Afghans are moving their families and assets abroad (mostly in UAE and UK/USA). This is creating a panic among those Afghans who moved back to their homeland to help rebuild the country. Still there is a newly emerged middle class, mostly located in urban centers of Afghanistan who continue to have high stakes in the future of Afghanistan and they are unlikely to give up their hopes. Provincial governors have established new administrative offices, which are creating new structures; these will survive any change in government or even a collapse of the system. Corruption remains entrenched in the power corridors and President Karzai has recreated patronage networks for his political survival. However, critique of corruption by the Afghan media is also a new reality and there is an increasing realization that corruption is a curse, which has to be defeated to improve governance. Clearly, the ‘green on blue’ or ‘insider attacks’ have seriously damaged trust between the NATO/ISAF and Afghan forces. And while Taliban infiltration is a serious issue, defections due to economic reasons are also a potent factor. The situation is indeed troubling but it is not beyond repair–change in recruitment standards, better training and less intrusive monitoring of Afghan security operations can transform the dynamics in this context. Some experts worry that Tajik military officers in Afghanistan are likely to attempt a coup if Taliban success in the aftermath of US withdrawal looks imminent. Pashtun nationalism leading to more strength for Taliban insurgents will be a predictable outcome in the event of such an eventuality. The regional players–China, Russia, Pakistan, India and Iran—are asserting their national self-interests in Afghanistan. China is aggressively expanding its footprint in Afghanistan– providing training opportunities for Afghan police and investing in exploring natural resources in the country. In essence, these can be positive steps but lack of coordination with US/NATO on these projects is creating suspicions. The entrenched rivalry between India and Pakistan is yet another challenge. Pakistan’s inability and failure to curb Haqqani group activities from its tribal belt is a case in point. For Pakistan, this group’s capacity to challenge Indian influence in Afghanistan in the long run is a critical national security interest. This group sponsors the movement of militants across the border in addition to providing logistical support to the Taliban inside Afghanistan. It is ironic that the US – Pakistan alliance couldn’t successfully negotiate this issue. Pakistan’s military believes that US had kept it aloof from the endgame in Afghanistan. US efforts are underway to engage Pakistan more proactively but Pak-Afghan mistrust will be yet another major obstacle to deal with in the future. India-Iran collaboration (in trade and development sector in Afghanistan) and US -Iran tensions further complicate policy choices. Taliban influence has indeed grown in the South and East, and terrorism remains a very serious challenge (as evident from a bombing during Eid). However, the Taliban are not in a position to overrun major cities or run a parallel government. Secondly, it is important to understand (even at this late stage) that all those involved in militancy and insurgency in Afghanistan are not necessarily part of a hierarchical Taliban organization. Pashtun nationalism also plays a role in Taliban territorial ambitions in Afghanistan. A variety of criminal gangs and warlords are also involved in the ‘war’ today, and peace and stability will diminish their profits significantly. The use of drones alone (which is an effective tactic if used selectively) is unlikely to resolve the militancy issue on the Pak -Afghan border region. What could transform the situation? There are several avenues for sustainable change. First, a law enforcement model that focuses on enhancing the capabilities of criminal justice system rather than the armed forces of Afghanistan. Second, investment in independent revenue generation all across Afghanistan (not only in areas under Northern Alliance influence). Third, an EU financial commitment until 2024 to supporting development projects (as discussed in Chicago and Tokyo conferences) will be required. For the US, winning the public opinion battles in urban centers of both Afghanistan and Pakistan is at important as defeating Al-Qaeda and its affiliates in the field. Fourth, negotiating with insurgents active on ground (e.g., Helmand and Kandahar) rather than overly focusing on Mullah Omar and the Haqqani group. A well-developed de-radicalization strategy – framed in an Islamic context- to discredit the distorted Jihad ideology will be critical. Finally, without a consensus (or some collaborative arrangement) among regional players to stabilize Afghanistan, no western security policy is likely to be sustainable. 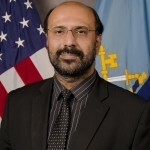 Hassan Abbas, PhD. is Professor of International Security Studies at the College of International Security Affairs at the National Defense University, Washington DC and a Senior Advisor at the Asia Society. The views expressed here are his own. One Response to Understanding ‘War and Peace’ in Afghanistan Today: Will planned military withdrawal usher peace in Afghanistan? To supplement Prof.Hassan Abbas’War and Peace….with compliments. proposal due to the stipulation of shoes! (if the editors warrant,the name/s shall be furnished). For an Afghan to have a job and abide by the regulations is far-fetched idea,irrespective of the assured amoluments.As and when an opportunity appears,the Afghan shall junk his duty for even the apparition of an extra curricular activity. Rehabilitate them to be,progressively civil and normal citizens of this tilted globe?